Daisy Ridley keeps it chic in a black dress while attending the premiere of The Eagle Huntress held at Pacific Theaters at the Grove on Tuesday (October 18) in Los Angeles. The 24-year-old actress was joined at the event by director Otto Bell, J. K. Simmons and his wife Michelle Schumacher, and subjects of the documentary film Nurgaiv Rys and Aisholpan Nurgaiv. The Eagle Huntress follows Aisholpan, a 13-year-old girl, as she trains to become the first female in twelve generations of her Kazakh family to become an eagle hunter, and rises to the pinnacle of a tradition that has been handed down from father to son for centuries – Watch the trailer below! Michael Keaton and JK Simmons suit up while attending the 2015 Film Independent Spirit Awards held on Saturday afternoon (February 21) at the beach in Santa Monica, Calif. 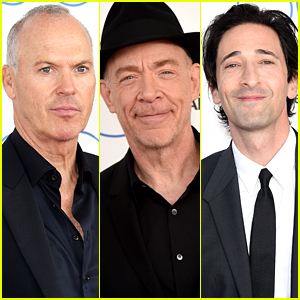 The guys were there as nominees for their work in Birdman and Whiplash, respectively. They are also frontrunners for the Oscars tomorrow night! Michael was joined on the carpet by his director, Alejandro Gonzalez Inarritu, while JK brought along his wife Michelle Schumacher. The Grand Budapest Hotel‘s Adrien Brody was also seen in attendance at the awards show that afternoon. 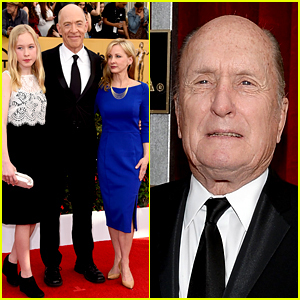 JK Simmons and Robert Duvall suit up while walking the red carpet at the 2015 Screen Actors Guild Awards held at the Shrine Auditorium on Sunday (January 25) in Los Angeles. The guys are both nominated tonight for Outstanding Performance by a Male Actor in a Supporting Role, JK for his work in Whiplash and Robert for his work in The Judge. Both of the guys brought along their wives to the show. JK stepped out with wife Michelle Schumacher and their daughter Olivia while Robert brought his wife Luciana (not pictured). 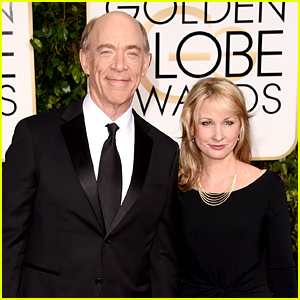 J.K. Simmons walks the red carpet while attending the 2015 Golden Globe Awards held at the Beverly Hilton Hotel on Sunday (January 11) in Beverly Hills, Calif. The 60-year-old actor was joined at the event by his wife Michelle Schumacher. 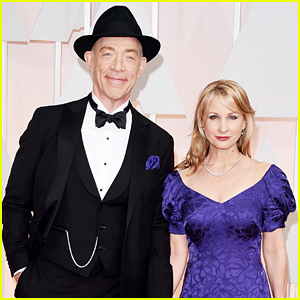 J.K. is nominated this evening for Best Performance by an Actor in a Supporting Role in a Motion Picture for his work in the movie Whiplash. He is nominated against Foxcatcher‘s Mark Ruffalo, Boyhood‘s Ethan Hawke, The Judge‘s Robert Duvall, and Birdman‘s Edward Norton. Tune in now to see if he will win!